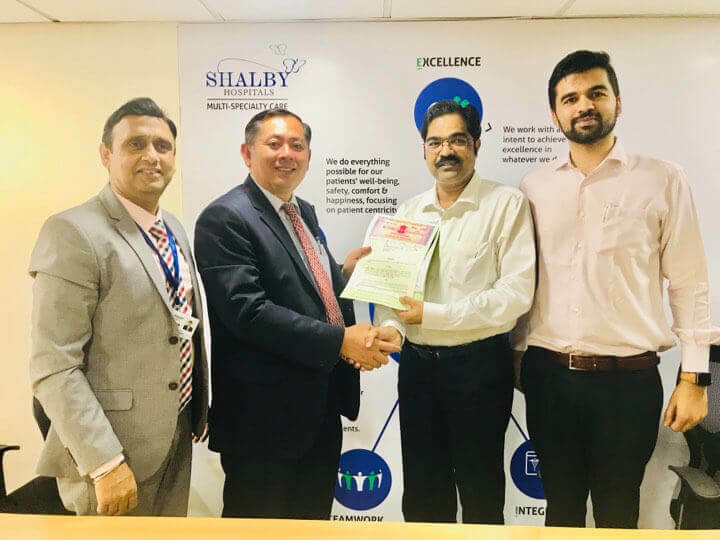 Shalby Limited ( Shalby Multispecialty Hospitals), Ahmedabad signed a Memorandum Of Understanding ( MOU ) with Sen Sok IU Hospital and International University, Phnom Penh, Cambodia on April 12, 2018. Under the aegis of this MOU, Shalby initially will be sending Specialists to their hospitals for doing OPDs – Joint Replacement and Spine Surgery. 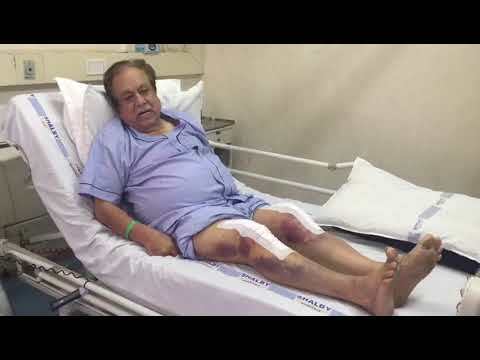 Enhancement to other specialties will be considered , in case of a need arises for such expertise, in future. The MOU was signed by Mr. Ravi Bhandari, CEO, Shalby Hospitals with Dr. Sabo Ojano, Chairman , Sen Sok Hospital and International University. Mr. Shanay Shah, Director, International Business, Shalby Hospitals and Mr. Amar Matlani, AVP were also present on this occasion.